I always prefer Creme Eggs myself TBH. As well as bunnies, daffodils and spring frivolity, Easter is about one amazing thing: chocolate (er, also religion, perhaps? Ed). The Chocolate Festival is a must for choccy lovers and best of all its free to attend. 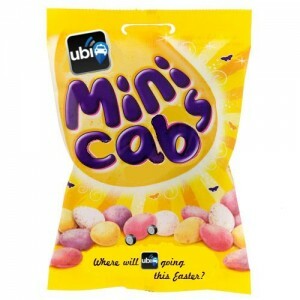 Located at the Southbank Centre close to Waterloo; taxi companies are preparing themselves for some sticky passengers over the bank holiday weekend. Book Waterloo taxis in advance to ensure you don’t miss a minute of this indulgent exhibition. The RAF has long held birds of prey in high regard, with iconic images of raptors even forming part of their official badges. As a special treat this Easter, the RAF Museum at Colindale will host a birds of prey exhibition, with flying demonstrations and a chance for the children to handle the birds themselves. Colindale taxi hire is available from all major rail stations in the area, or you can catch a Colindale taxi from Edgeware tube stations to the Museum. 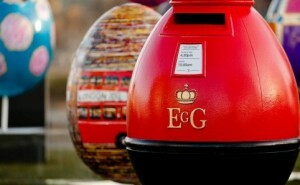 In a bid to break a Guinness World Record, the Big Egg Hunt takes place in Covent Garden over the Easter weekend. 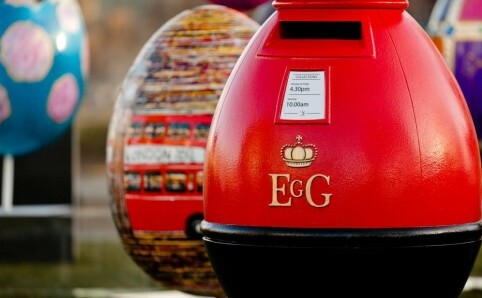 Each of the 2.5 foot eggs, numbering 101 in total, has been created by a renowned designer, architect or artist, and all of the eggs will be in Covent Garden over the long weekend for visitors to enjoy. Book a Covent Garden taxi from your hotel to get there early and avoid the rush, or ask a Covent Garden taxi driver to pick you up direct from a national railway station to avoid the hassle of the tube. If you prefer your egg hunts with more manageable sized eggs, you can enjoy Easter at Kew Gardens where there will be a number of kid friendly events to enjoy. A highlight of the event is the grand Easter egg hunt on Sunday, where les enfants can collect tokens from around the gardens to exchange for a chocolaty treat. With reduced public transport options on Sunday, booking a Richmond taxi to Kew Gardens can be a great decision. Mums with buggies will also be able to journey in comfort in a Richmond taxi, instead of struggling with the steps and congestion at the tube stations.